The unthinkable has happened! A couple of weeks ago I became an Old Aged Pensioner (minus the benefits). So, to celebrate, challenge and defy my descent into decrepitude, I’m going to run the Victoria Falls Half Marathon on June 29th. 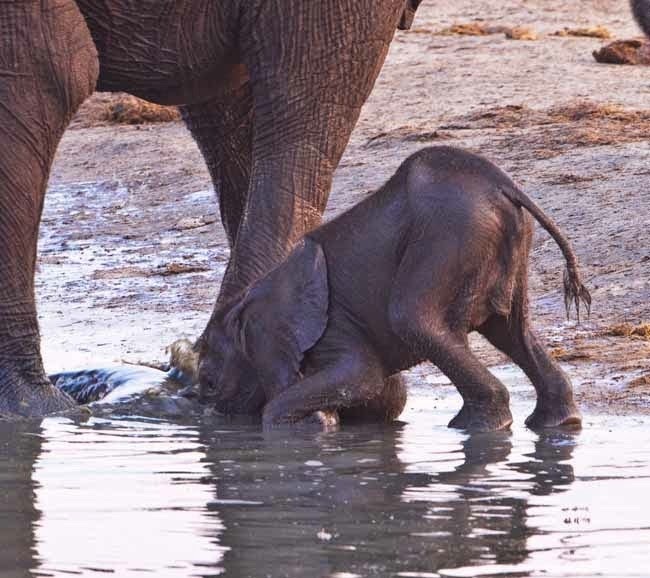 And by doing so, I’m hoping to raise some money for the wonderful Friends of Hwange Trust who have been fuelling and maintaining ten major waterholes in the Hwange National Park since 2005. We visited the park during the horrendous droughts of 2012 and 2013, and saw wave upon wave of desperate elephants come running down to drink at Nyamandlovu pan. Animals were forced to range for miles away from water in search of food. Hundreds died, and had it not been for the crucial work of the Trust and some private concession holders, there would have been many, many more casualties. 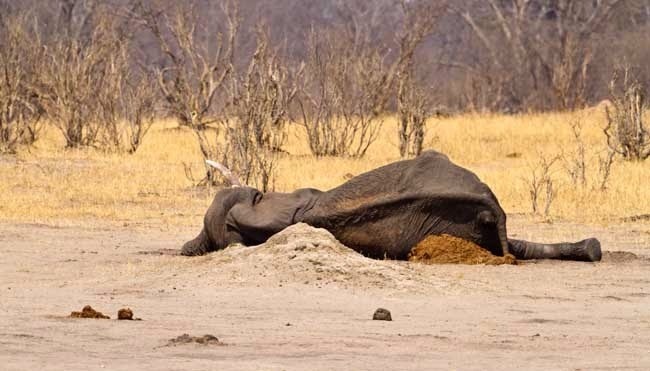 Hwange is our flagship national park but like everything connected with wildlife in this country, its survival is down to private individuals, like the members of the Trust, who dedicate themselves to the job for no reward. "Fancy buying a couple of drinks? A donation of just US$10 is enough money to provide water for 250 elephants for one day. 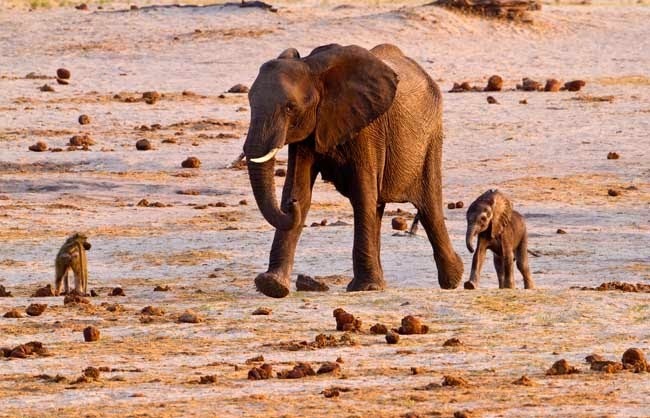 It is estimated that there are around 40 000 elephants in Hwange as well as millions of smaller animals. Every donation helps to prevent animal suffering." PS I took up running a couple of years ago - and at first I didn't think I'd get past a couple of kilometres without falling over. But I gradually improved, and although I find it a pretty hard slog most of the time, the benefits are very real. Apart from feeling great and far stronger, there's that post-run high to look forward to and the sense of achievement when you've given it your all. I told Rich that I was running away from old age, to which he replied (mournfully): "or else you're running towards it". You can tell whose glass is half-empty! 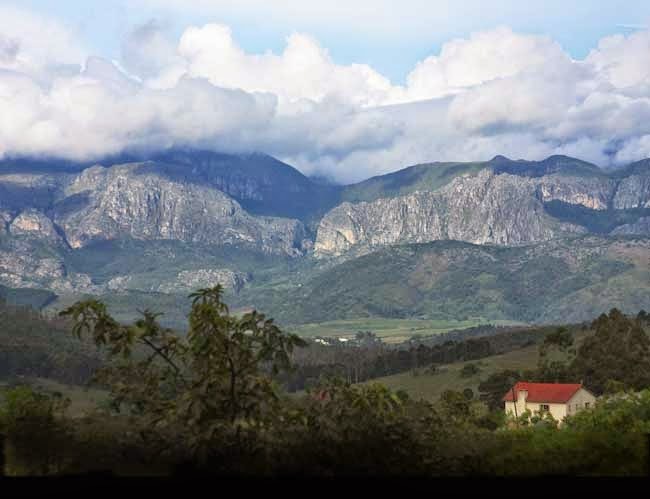 10th March 2014 – the three of us, my husband Richard, son David and I, took off from Bulawayo for the Chimanimani mountains at the southern end of the Eastern Highlands. 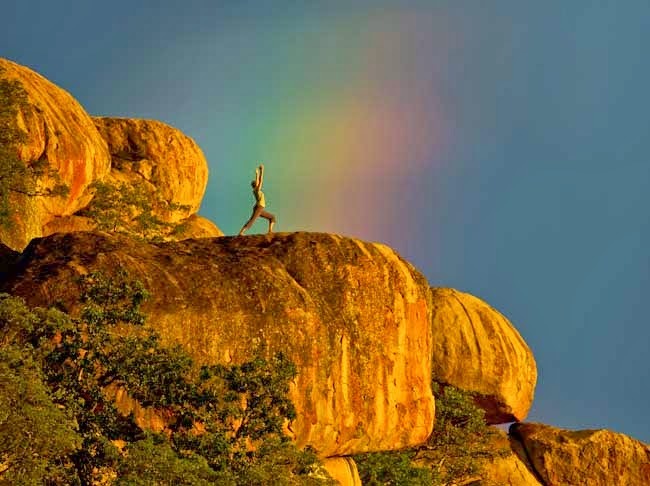 Moody and magnificent, the mountains stretch for 40km from north to south, along the border with Mocambique. 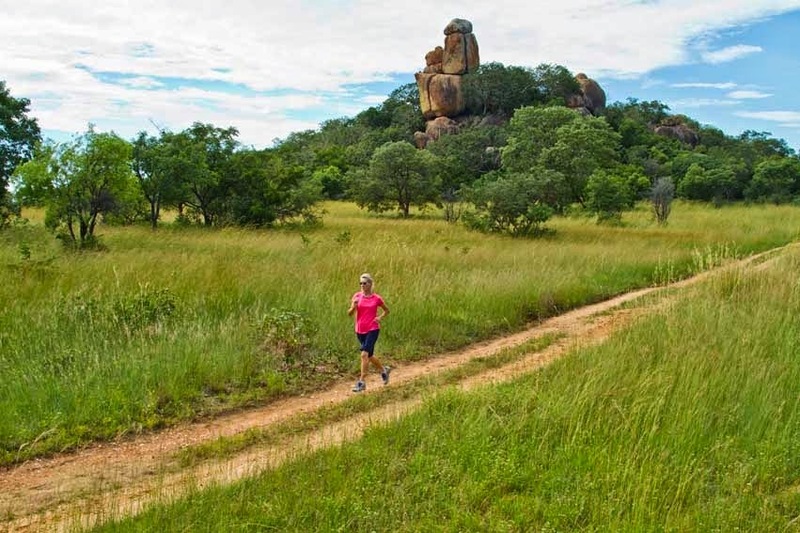 Our friends, Doug and Tempe van de Ruit had organised a two-day hike up to Terry’s cave – a climb of around five hours for those who like to take it easy. After weeks of rain, mist was still swirling around the tops of the mountains, but that morning, the sky was at last beginning to clear. From our starting point at National Parks base camp, those seemingly impenetrable walls of broken quartzite looked pretty intimidating, but we were going to take the easiest route – through the “Banana Grove” - and there was no rush. The van de Ruits and their porters were all seasoned mountaineers, so we knew we’d be in very good hands. It was a perfect mountain morning – still and sunny – with that special clarity that comes after a long spell of rain. We drank at every swift flowing stream we crossed, and swam in a tingling cold pool on the Bunde River, where we had our picnic lunch. The climb from the Bunde was the most challenging – straight up from the river on a slippery path and mostly at a crawl, grabbing onto tufts of grass and rocks to haul ourselves up. Over the top and we were almost there – a dark triangular hole in the rocks was the marker for Terry’s cave – with only a matter of 750m to go. I left Rich photographing a pocket of wild flowers, and went ahead, very ready to swap the backpack and the sweaty clothes for a swim in another deliciously icy pool. Moments later, I heard a cry of pain and found Rich sitting on the side of the path, holding onto his right foot. It had somehow twisted under him on the uneven path with what he described as “a loud snap”, and he was in agony. David and a porter supported him as far as the cave; our peaceful hike having suddenly turned into a very tricky situation indeed. Rich’s leg cramped in the night, causing him intense pain, as the muscle affecting the ligament in his foot went into spasm. By the morning, it was clear that this was no ordinary sprain, and that he could not possibly get off the mountain without some serious assistance. We’ve been members of BUPA for years, but we had very nearly cancelled our last sub because of the cost. Now, we are onto the least expensive option - the Essential Scheme - which basically covers emergency air evacuation, hospitalization, out-patient surgery and cancer. Very fortunately, we had charged cell phones with us, so with the help of a number of wonderful friends, we managed to contact BUPA overseas and request a casevac by helicopter. This wasn’t simple. BUPA handed us over to MARS, their local partner, and it took 24 hours of phone calls, many of which were not returned, before a chopper finally arrived, perching itself on a patch of flat, open ground 100m from the cave, where one had apparently landed some years previously for another mountain rescue. left him at the Avenues Clinic - but that wasn’t the end of the drama. He was charged a $50 admission fee to casualty – which left him with $10. The doctor would not look at his foot, which was still strapped with a dirty length of mutton cloth, before it was x-rayed, but Rich didn’t have the $90 to pay for them. Nor did he know anyone in Harare he could call. The option on offer was to be turned onto the street. He finally persuaded the hospital to let him wait out the night in the “observation ward” until something was worked out. At 10pm, thanks to a very kind friend of the girls at the Frog and Fern cottages who came to his rescue, Rich was x-rayed. The doctor on duty took one look at them, and assured him it was only a sprain – nothing that a two-week rest wouldn’t sort out. He still refused to examine the foot – even though Rich was adamant that there had been soft tissue damage. The friend paid Rich’s bills at the clinic, including a steep $118 for two hours in the observation ward - where no one had come near him – and took him home for the night. He saw a sports injury doctor the next day, and was operated on by Dr. Bowers at St. Anne’s a few days later – for a ruptured tendon. And St. Anne’s was great! Rich is in a leg cast for six weeks, and a month in a walking boot thereafter. So – happy hikers – remember this. First rule of travelling in remote places – don’t leave home without full medical insurance covering emergency evacuations. And always take fully charged cell phones with different provider options if possible (there was no Net-One signal from the top of the Chimanis), a credit card, a supply of cash and your medical aid details. Expensive though it is, we can recommend BUPA – but remember you are in local hands after that, so you need to be prepared for complications and delays. Lastly, unless you are totally confident of your own abilities – go with a guide. 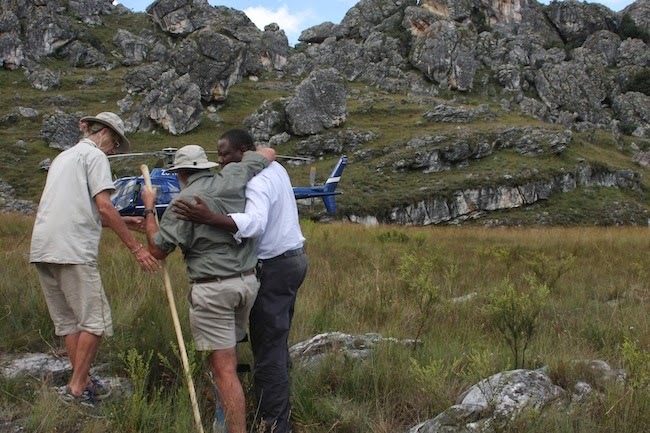 Things went as well as they did for us because of our friends in Chimanimani – first, Doug and Tempe van de Ruit, who have spent their lives in the mountains and have taken part in many an emergency rescue. We’d follow them anywhere! 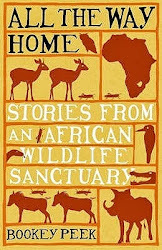 Incidentally, Tempe looks after the lovely Kweza Lodge, Torhaven and The Farmhouse (www.chimanifarmhouse.com) – all self catering, fully equipped cottages and very reasonably priced. After the helicopter had left, and the feeling of having just taken part in a particularly dramatic episode of Survivor had passed, the rest of us packed up and headed home, this time via Bailey’s Folly: a notoriously steep plunge straight off the side of the mountain back to base camp, where we had left the vehicles. We spent the night at the Frog and Fern, run by Jane High and Dee Schafer– a truly delightful and luxurious little lodge amongst the msasas, a couple of kilometres above the village. It’s a perfect place to base yourselves for a few days – and not just for over-ambitious mountaineers like ourselves. You can walk for hours from the Frog and Fern – to the nearby Bridal Veil Falls and Eland Sanctuary, up to Pork Pie or Greenmount – and Jane and Dee are wonderful and informative hosts. Again, the cottages are very well equipped for self-catering and reasonably priced. 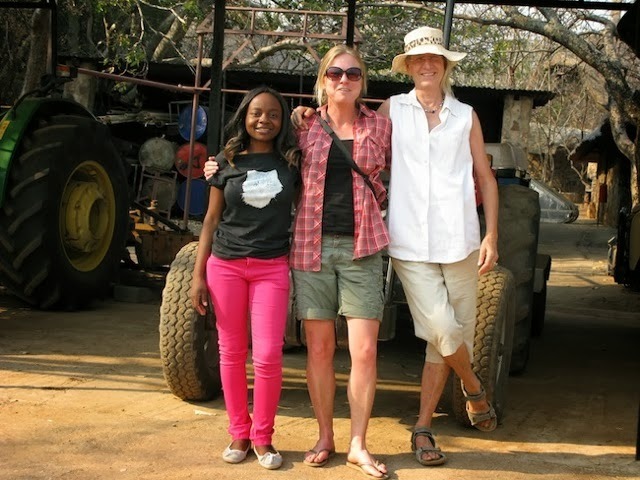 Check their website www.thefrogandfern.com for everything you need to know about Chimanimani from history, safety and security, road conditions and how tourism is helping disadvantaged local children. Aside from the drama, hiking in the Chimanis was one of the most exhilarating experiences of our lives – but next time, we’ll be better prepared! Rich has always wanted to know more about the feeding preferences of our animals during the winter months, and particularly in the drought. 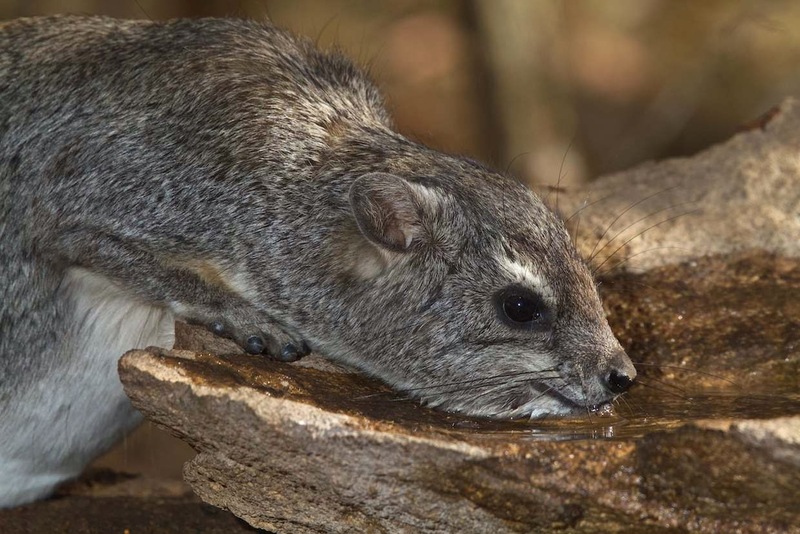 How have the hundreds of dassies survived on Dibe Hill, for example, when there isn’t an edible leaf left on the trees nor a scrap of grass for them to eat? Certainly, the rock dassies (procavia) pick up the feed scattered around the kudu drums, but that wouldn’t be enough to sustain them. And yet, some of the adults are as fat as they were in summer, leading me to suspect them of upping their protein intake with a bit of infant cannibalism. Having seen them savaging the poor kudu, and stealing bonemeal from the birds – nothing would surprise me about these consummate survivors. Move over Jane Goodall and the murdering chimps! As it turned out, my dark imaginings were (unfortunately) put to rest by the arrival of Amy Scott – an ecologist from Melbourne – who recently volunteered with us for a couple of months. 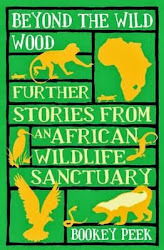 She spent painstaking hours following giraffe and both species of dassies as they fed, making some very interesting observations, including the fact that, if they are really pushed, all will eat the leaves of poisonous evergreens with no apparent ill effects. Amy loved fossicking around, as I do, and it was with her that I discovered the new brown hyaena den in the Nukutidza area in a little explored part of the sanctuary. We managed to find a perch high up on a kopje about 250 m away from the den and saw quite a bit of activity in the late afternoons. Sadly, Amy had to go back to work, but before she left, Linda Moyo arrived – a third year student from our University of Science and Technology – who will be with us for some months on attachment. 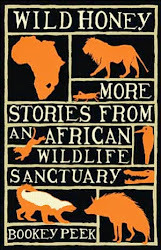 Linda studies wildlife management and has taken over the dassie and giraffe project. She’s been helping out with feeding – keeping daily records and also bumping along in the back of the tractor and hefting 50kg sacks – quite a feat for a city girl who can’t be more than 5 ft high! 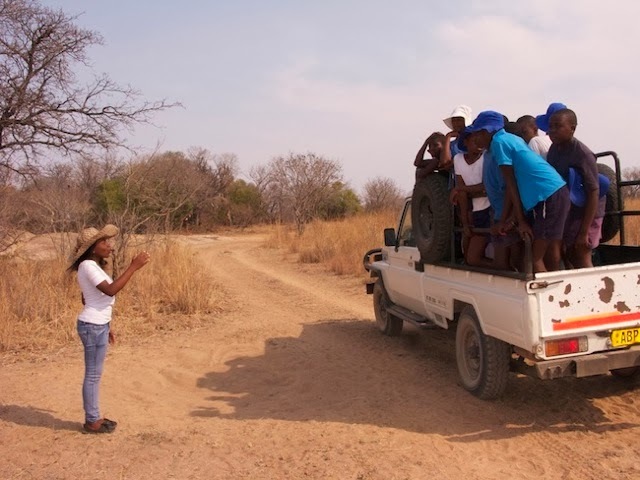 She’s been a great hit with the Conservation Club children at Marula School too – and will be able to do some really valuable work with them while she’s here. I don’t imagine that there are many African girls following the same path – so perhaps we have a Zimbabwean Wangari Maathai in the making. We certainly need one!